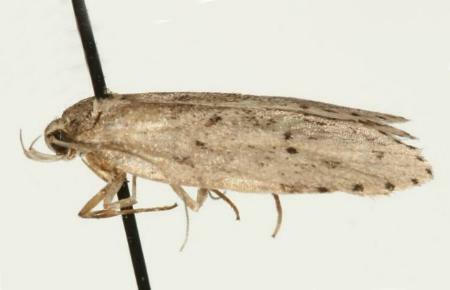 The adult moth of this species has pale brown forewings each with a lot of black dots. 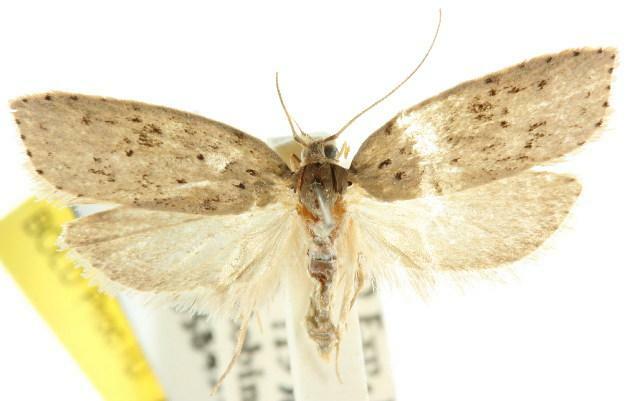 The hindwings are pale brown, shading darker toward the wingtips. The wingspan is about 2.5 cms. CSIRO Publishing, Melbourne 1994, pp. 137-138. Volume 70 (1946), p. 107, No. 2014.